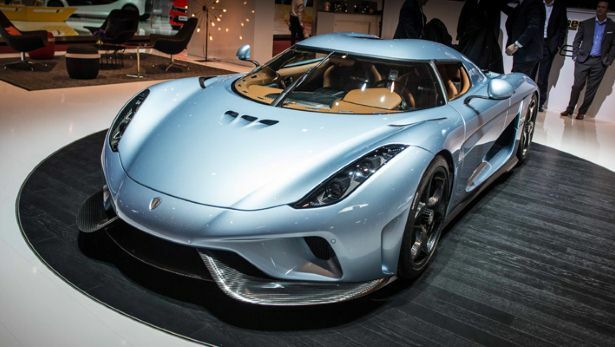 The 1,500 HP Koenigsegg Regera Is the SICKEST Debut of the Year!! Based in Sweden, Koenigsegg has spent the last twenty years building some of the world’s most elite hyper cars, pushing the limits of what we thought was technologically possible. Well, earlier today at the Geneva Motor Show, Koenigsegg may have taken the game to an even higher level with the release of the brand-new, 1489 horsepower Regera hyper car. At the heart of this monster hyper car is a 5.0 liter twin-turbo V8 that pounds out over 1,100 horsepower, as well as three electric motors that crank out an extra 700 hp. When working together, the V8 and electric motor tandem fires out a combined output of 1.11 megawatts and, of course, an astonishing 1,489 hp. Allowing them to reach this unprecedented level, Koenigsegg gives credit to their latest invention… the Koenigsegg Direct Drive (KDD) system. So, how much giddy up does thing actually have? Capitalizing on over 2000 Nm of generated torque, Koenigsegg says that the Regera has a 0-to-249 mph time of less than 20 seconds!! BAM! Now, that performance would be enough to satisfy 99.999999% of all companies. But not Koenigsegg. Amazingly, the Regera is also a true king of luxury. Seems about impossible, right? I mean, how do you balance that type of performance with Rolls Royce level luxury?? Well, Koenigsegg was able to blend these two completely different aspects by tinkering with the structure of the car, developing a new rear sub frame and rear structure that allows the engine and transmission to rest on active soft mounts. This design allows the car to isolate engine noise and vibrations during casual, normal conditions; but also facilitates more aggressive driving as the mounts are capable of firming up and giving greater response. Unbelievably, the innovation doesn’t just stop with those design features, either. 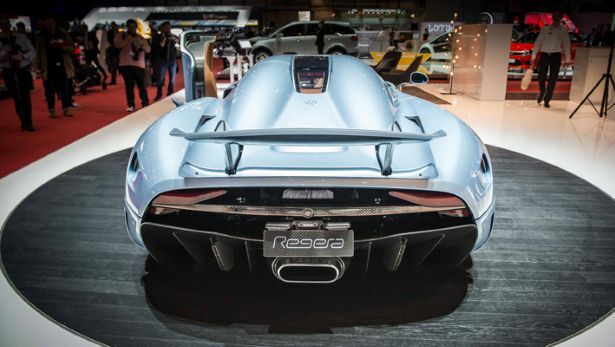 Koenigsegg has also managed to make the Regera into a motherfucking TRANSFORMER. Yes, you heard right. The Regera is the world’s first fully robotized car. Through new advancements in lightweight hydraulics, nearly the entire car is robotized, including active and rear wings, as well as a chassis control and lifting system. Pretty much, the Regera is the sickest car we’ve seen debuted at any auto show this year. Not surprisingly, each of these extremely rare cars (only 80 in total are being made) are listed at a base price of $1.89 million. Maybe, if you donate your body to science, you’ll be able too afford it. It might actually be an investment worth making. This entry was posted in Culture and tagged geneva motor show, hyper car, Koenigsegg, Koenigsegg Direct Drive, regera. Bookmark the permalink. BRUTAL… This is What Happens When You Forget to Brake!